As attention turned to Texas last week for the nation’s first electoral primary after President Donald Trump took office, a deadline passed Monday with virtually little mention: The end of the program that protected hundreds of thousands of Dreamers in this country. 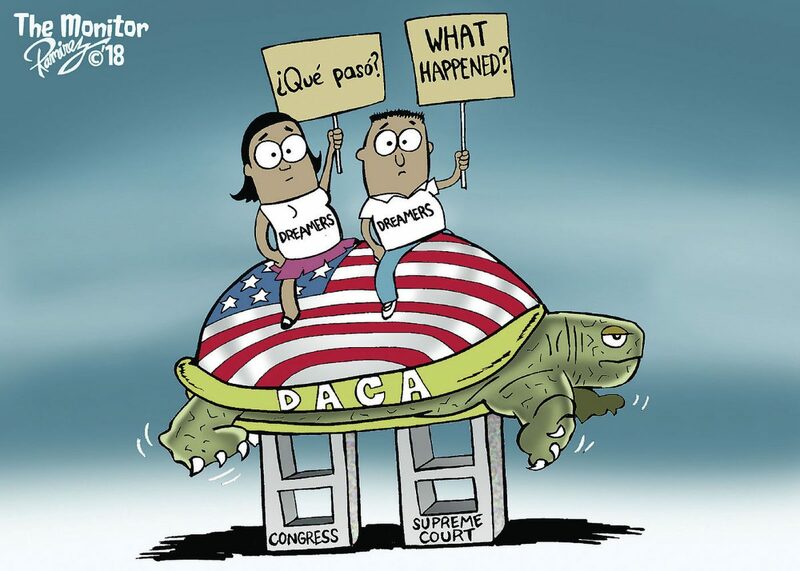 Federal court rulings, essentially backed by the U.S. Supreme Court, forces the Trump administration to keep issuing renewals under this program, Deferred Action for Childhood Arrivals (DACA). But the executive branch of government is intent on abolishing this program, so no one should take DACA for granted. And although the reprieve given by a federal district judge in California applies to Dreamers who are seeking an additional two-year work permit; it does not apply to those seeking a work permit for the first time. And, thus the program is now closed to thousands. While we have steadfastly supported the idea of allowing Dreamers to stay in this country legally, we have also expressed support for President Trump’s admonitions, when his administration announced the end of this program last September and that Congress should come up with a permanent solution for Dreamers. We admit that Trump has since sent mixed signals over what he would and would not support legislatively, but we believe he is correct in seeking a permanent solution to DACA, which President Barack Obama started as a temporary solution to address those brought to this country illegally as youth. We were heartened by the actions taken by Democrats in the U.S. Senate, who threatened a government shutdown unless DACA was addressed. And we looked forward to that chamber addressing the issue, which Senate Majority Leader Mitch McConnell promised via a floor debate in exchange for Democrats allowing the federal government to reopen after a brief shutdown over the federal budget. Yet here we stand, almost a week after President Trump’s deadline to end this program — and six months after he announced he was ending it — still waiting for Congress to act. It’s the same song with the same verse: Outrage by one party in Congress, followed by finger-pointing by both parties, followed by proposals — including some bipartisan attempts — and promises followed by inaction. Several weeks ago, a video went viral on social media that showed former Mexican President Vicente Fox — a staunch critic of President Trump — saying Mexico would love to have Dreamers return home. Think of it, he said, having a highly educated and highly trained workforce suddenly descend on Mexico at a time of economic growth for that country, which could use the workforce. That concept should be the focus of Congress: What it would cost our country to lose a highly educated and highly trained workforce, at a time when the birth rate in this country points to a skilled labor shortage in a generation or two. If members of Congress can’t get beyond the concept of allowing foreigners in our midst — an ironic concept given that most Dreamers are American in culture, education and training and foreign in definition only — then they should consider the economic implications of losing a trained workforce of nearly one million young people.